Hey there, all my ribbon-loving and coffee-loving friends! It's a beautiful day in sunny Las Vegas, but never too hot for my morning latte (and perhaps an afternoon latte as well...LOL). 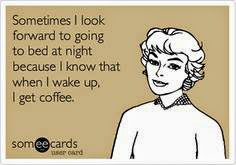 Honestly, I don't think I could ever get "too much" coffee.....just keep it coming! Well, I feel the same way about ribbon. 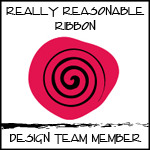 I just can't get enough, and Really Reasonable Ribbon is the best place to find it! 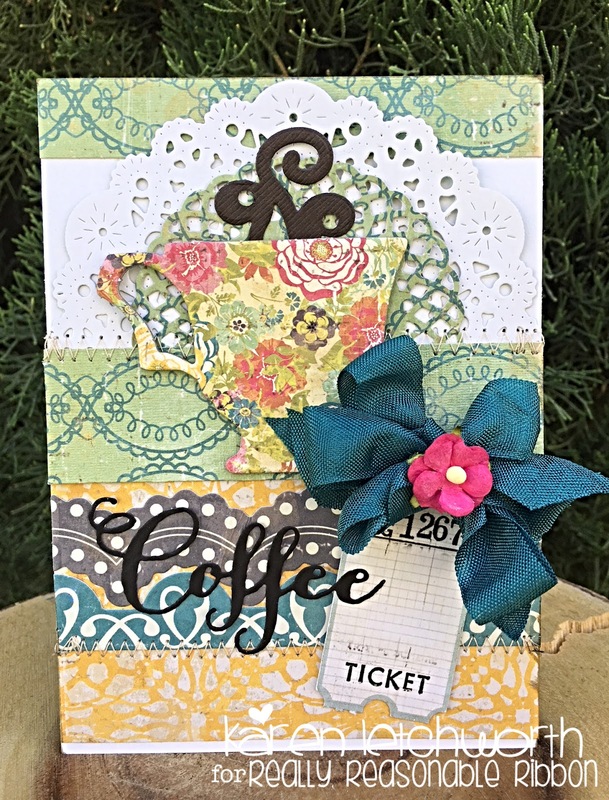 My second card celebrates my love for coffee along with my love of ribbon, and it uses all the same patterned papers, chipboard and border stickers as the first card. Again, I attached my patterned papers together using Scor-Tape. Then, I did some machine stitching, and added a lovely bow using Noble Peacock Seam Binding and topped it with a lovely Pink Sweetheart Blossom. I always like to give credit for the inspiration I find on Pinterest. With that said, my first card was inspired by this card created by Melissa Phillips, and my second card was inspired by this card. 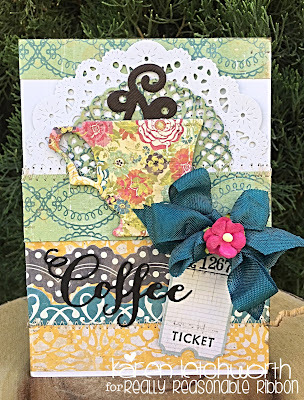 Scrapy Land Challenge Blog - Anything Goes Using Dies - I used a Cheery Lynn Dies doily die-cut to mat my coffee cup. 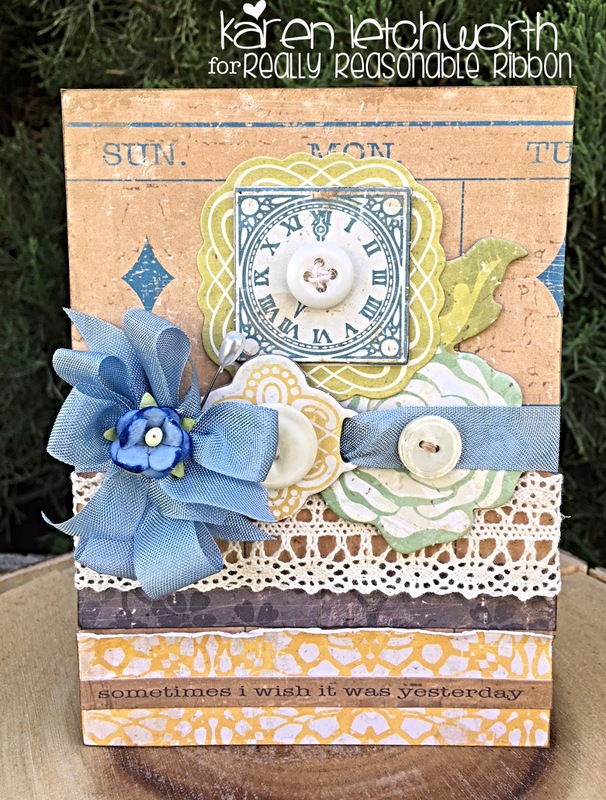 Frilly and Funkie: Layers of Lace - My first card has the lace. Thanks for the invite, Sara. Gorgeous colourful and textural cards Karen - so cheerful. Oh! Soooo pretty! Love all the beautiful layers and floral cup with so many details on it! 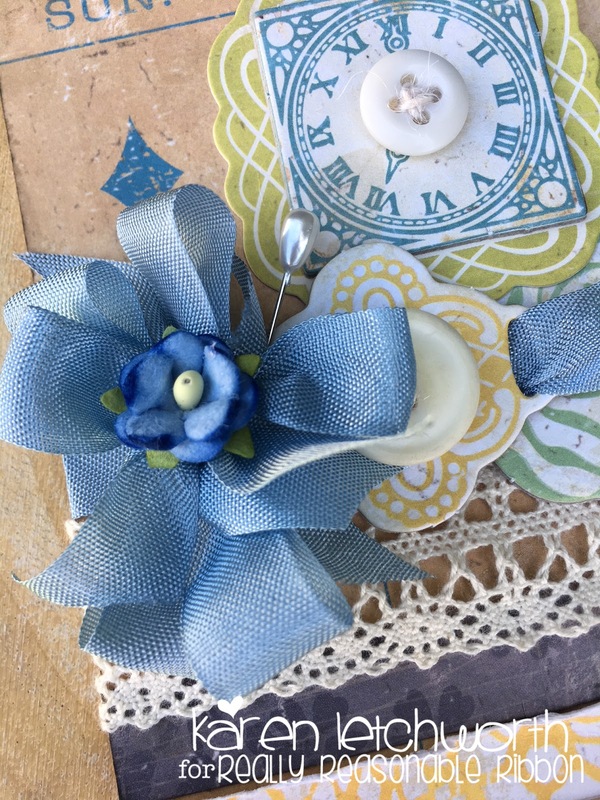 I am back to say I am so excited you shared this with us at Frilly and Funkie in our Layers of Laces challenge! Hugs! Both are beautiful Karen. Love your coffee card design. Gorgeous! I Love the way you do your Bows too! Wowzers! This is gorgeous! Both of them are... and that cup is beautiful! A feast for the eyes... love them both! Beautiful card!! 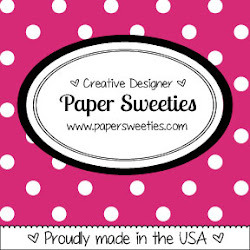 Love the pretty papers! Two more wonderful card designs for the hop. You certainly have been a busy crafter. Very pretty. I like the button on the clock on the first and the pretty ribbons and papers. Your cards are both beautiful, Karen! You have an eye for layering and your cards are always so gorgeous! Love the ribbon too! 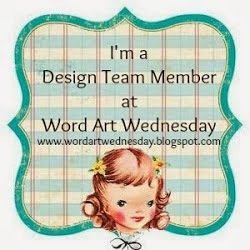 Also want to thank you for the kind words you've been leaving on my blog during the hop - they warm my heart! You are appreciated! Wow, loving all the details! Doesn't Melissa make such lovely cards? I am such a fangirl of hers, and have been for years. Your use of the seam binding on both cards is wonderful. You always add such fun touches! And how exciting to find some long sought out paper! You have used it so well on both projects. Anytime is coffee time pass me a Mocha while I drool over your work here! lovely lovely - what can I say - you got it girlfriend when it comes to crafting - your true Gift! Wow! Both your cards are totally stunning!!! Details are so beautiful!!! Stunning beautiful artful works. Love seeing your awesome creations. 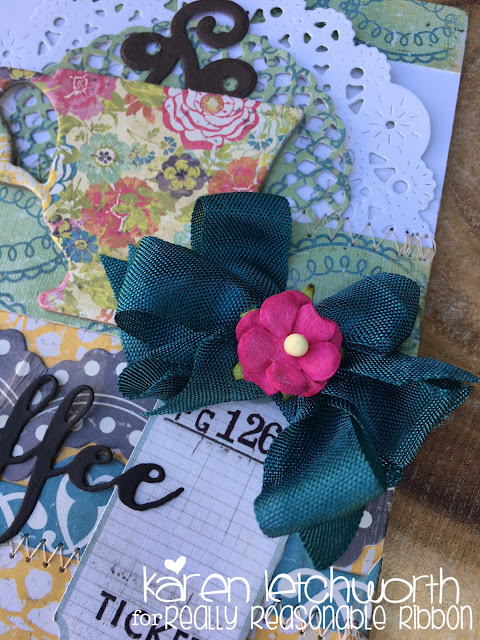 The seam binding bows are precious! Very pretty cards. Love the strip of crochet lace on your first card. The gorgeous loopy bow is a perfect topper. Thanks for joining us at Frilly and Funkie. What a joyful blend of colors and bright happiness. 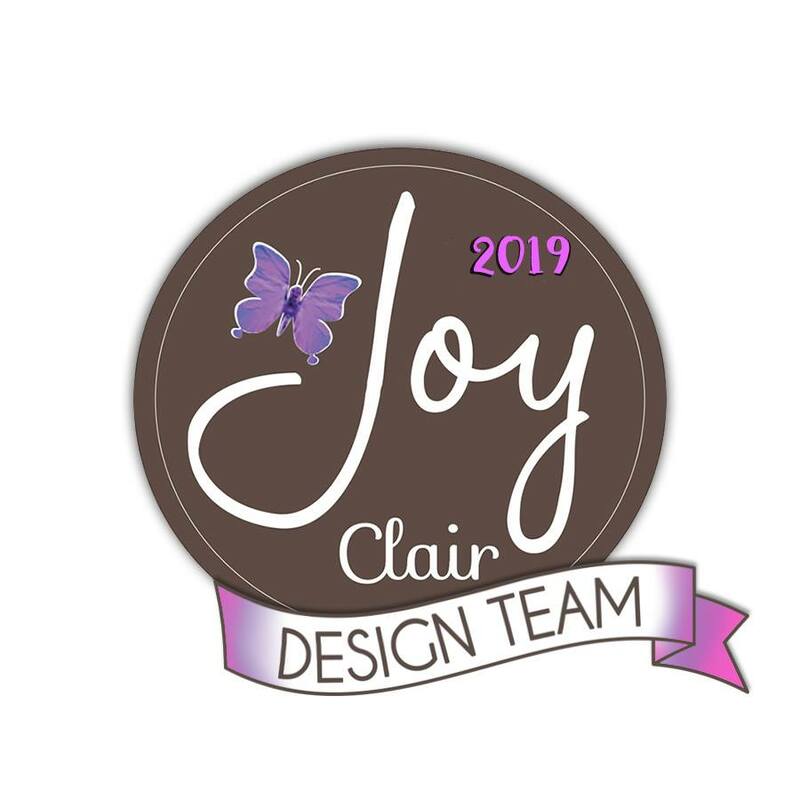 Beautiful designs and cards! 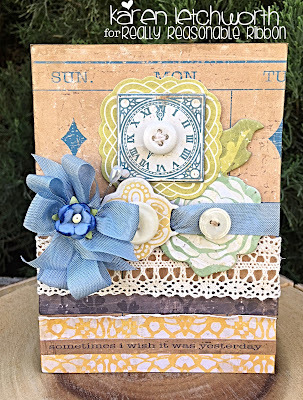 Thanks for playing along with us at Frilly and Funkie "Layers of Lace" challenge! Your coffee card is so beautiful and fabulus with all those ribbons, Karen! Hugs!